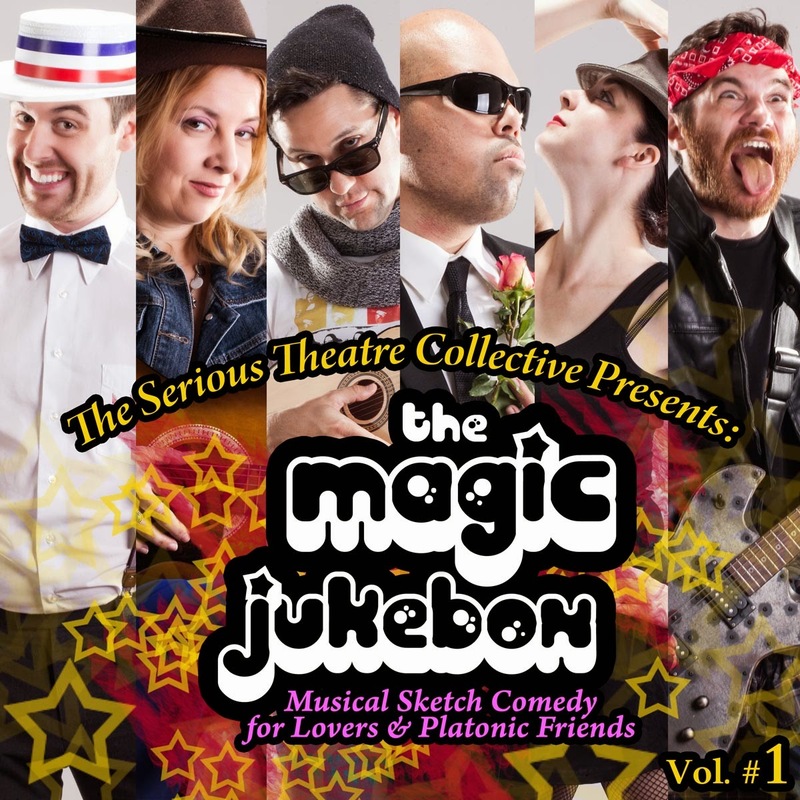 The Serious Theatre Collective: The Magic Jukebox- the first review is in! "...a performance that is funnier than anything you’d see on SNL"
The Magic Jukebox- the first review is in! "...a performance that is funnier than anything you’d see on SNL"
"One of the things that I love about New York City is that it attracts some of the funniest, most talented people in the world. It seems like on every corner, you can stumble into a bar and watch a performance that is funnier than anything you’d see on SNL. The Magic Jukebox, presented by The Serious Theatre Collective, is no exception. This is the third Serious Theatre production I've seen and I’m a big fan of their low-brow meets high-brow humor, and their efforts to make high-quality, original theater affordable. Some of the performance highlights include Ricardo Delgado’s R. Kelly inspired cameo, any time Sam Durant Hunter’s on stage, and Abby Goldfarb’s comedic timing. It was especially fun to come early and sing along with the impromptu karaoke that sparked up from the house band’s catchy set."